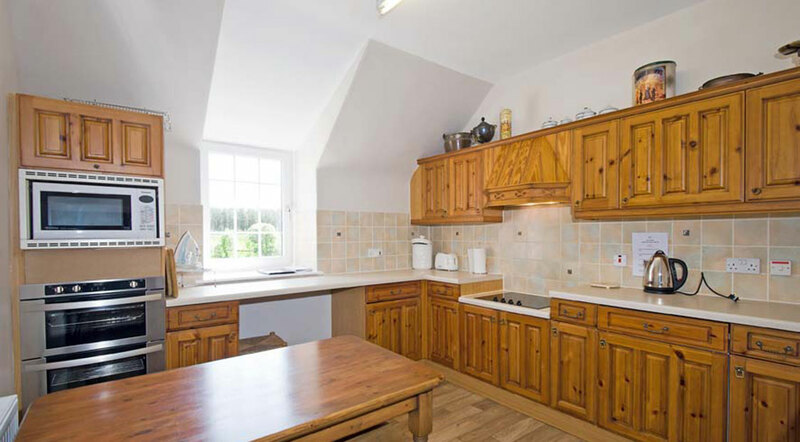 Immediately adjacent to the river bank, this stone cottage sleeps four people in two twin bedrooms with a recently refurbished kitchen which is equipped for self-catering. Central heating and an upgraded hot water tank have recently been installed to add to guest comfort. The cottage offers a casual but charming sitting/dining room with a wood burner and TV. Of particular interest is the south-facing bay window offering wrap-around views up and down stream. Outside the old mill wheel adds an authentic touch to this eponymous property. 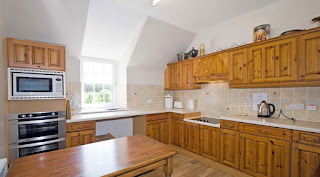 The lower ground floor provides a large rod room steeped in fishing history which easily doubles as a lunch room with the close proximity of a small kitchen/cloakroom area. Linen and logs are included in the cost.